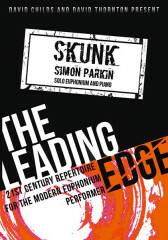 In its original form, Skunk was first performed by David Childs and Simon Parkin on 26 January 2001 at the RNCM Festival of Brass. Following revisions, the work received its official premiere on 7 January 2004 in London’s Purcell Room on the South Bank, performed by David Childs and pianist Harvey Davies. Composed in a jazz-rock idiom, the work seeks to explore both the technical and lyrical boundaries of the euphonium soloist and pianist. 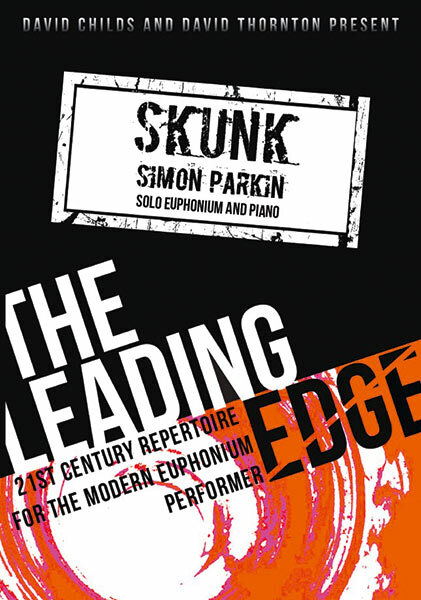 The music is rhythmically complex throughout and, following a return to the original material, Skunk comes to an abrupt end with a series of fortissimo grunt noises depicting the sound a skunk might make. This article was posted in New Releases, Sheet Music and tagged euphonium, Leading Edge Series, sheet music, Simon Parkin on 11 May 2015 .